Teva is on course to file its next generation migraine medicine fremanezumab later this year after completing phase 3 trials, with positive results in a population of challenging patients. In the second phase 3 HALO study of fremanezumab, also known as TEV-48125, patients with episodic migraine treated with monthly and quarterly doses experienced clinically and statistically significant improvements in endpoints and 12 pre-specified analyses. Results follow on from the first HALO study in chronic migraine patients, which reported positive findings last week. 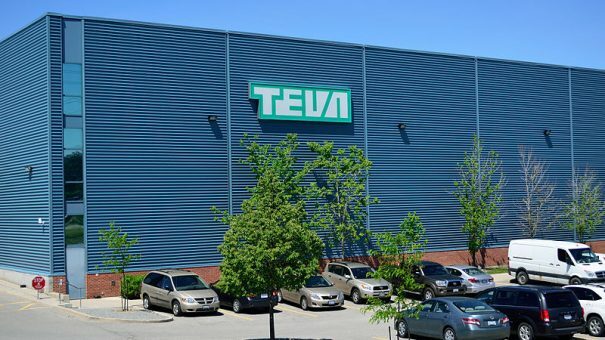 Teva says it plans to file the drug with the FDA later this year in both episodic and chronic migraine, anticipating approval and launch in the second half next year. Patients in the episodic migraine trial had a mean of 9.1 migraine days per month and reported 39 days with functional impairment per quarter. Fremanezumab given monthly improved the average number of migraine days, relative to baseline, by 41.6% for the duration of the trial. Number of days with disability were decreased by 64.7% and medication consumption was decreased by 39%. Teva thinks that fremanezumab could have an advantage over rivals thanks to a quarterly dosing option – and this produced highly significant results for a decrease in migraines (-3.4 days or 37%) and for all other comparisons. Both monthly and quarterly regimens tested significantly improved migraine in subjects on stable doses of other prophylactic drugs. Fremanezumab, formerly known as TEV-48125, is part of a new class of drugs under development by a group of rival pharma companies targeting the calcitonin gene-related peptide (CGRP) ligand. According to EvaluatePharma, analysts rate fremanezumab highest among this class of drugs, forecasting sales in excess of $1 billion by 2022. According to Evaluate, Alder’s CGRP inhibitor eptinezumab is expected to almost match Teva’s drug in terms of sales if approved. Eli Lilly’s galcanezumab is forecast to produce around $484 million in 2022, while Amgen/Novartis’ erenumab will bring in around $475 million.